Stay Connected with your past borrowers, build client loyalty, and close more loans! Your past client database is your best resource for future business. Communicating with past clients effectively on a regular basis will bring you more repeat business and more referrals. We make communicating with your past clients easy. Protelus can search your database of past client information based on interest rate, loan amount, loan program, or closed loan date and give you a valuable marketing tool to target exactly the right people at the right time, giving you an edge over your competition. We offer a variety of ways to keep in touch with your customers, whether you want to send regular, time relevant emails or postcards, we have a large content library to select from. 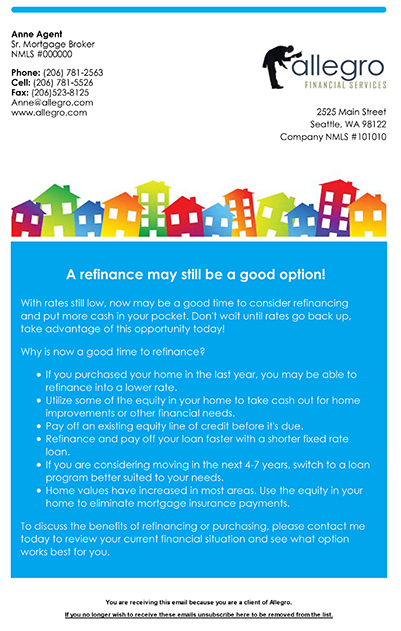 Targeted emails with valuable loan product information sent at exactly the right time. 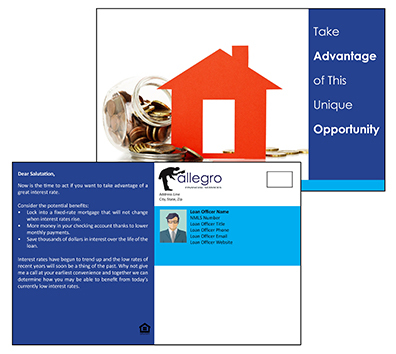 Customized emails with educational and seasonal content sent consistently to your past clients. 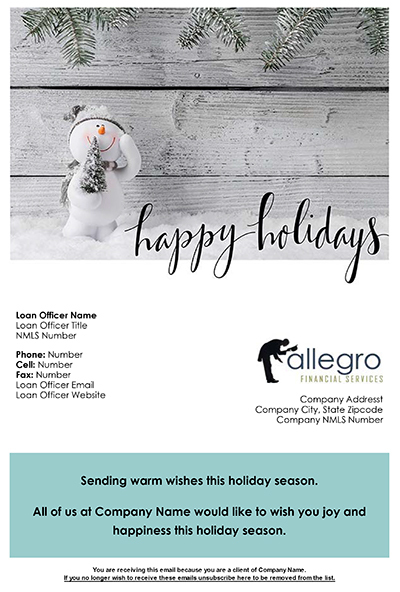 Professional emails personalized with individual loan officer photos, contact information, and company branding. Drip email campaigns with personalized content. Annual review, custom emails, and direct mail options also available. Protelus makes it easy. We do everything for you. You decide how you want to communicate with past clients and we automate the process.